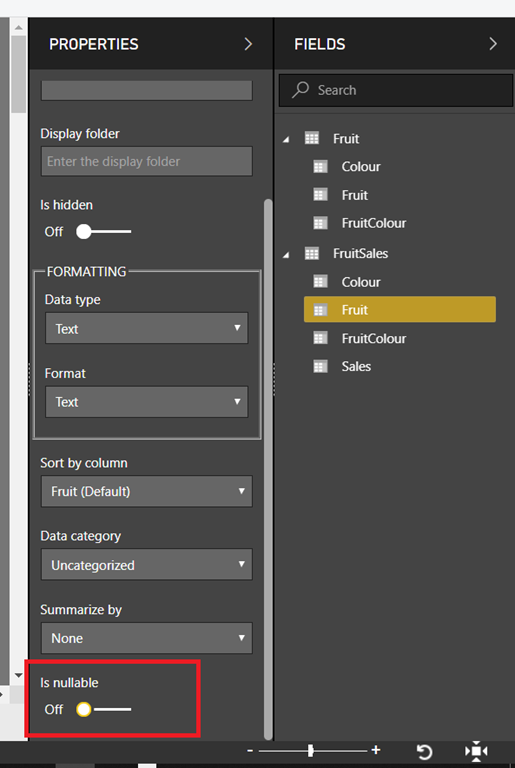 Interesting… this partly helps with one of the biggest annoyances for me in powerbi. I always have to clean (blanks) from appearing in slicers, the source for that is usually values that appear in the many side but not the one side of one to many relationships, but when those relationships can be be 3-4 levels deep it gets very complicated to clean them! Any tips for that? That may be happening because you have (non-null) values in the column on the many side of the relationship that don’t exist in the column on the one side of the relationship. Nice article. So is the indicator for NULL values, empty string, or blank? The error message seems to make it sound like NULL and blank are the same thing. Thanks. Good question. It definitely works with nulls coming from the data source; I need to do some testing around all the different scenarios where you can get blanks.